Those of you that know me well know that I am a master dreamer. 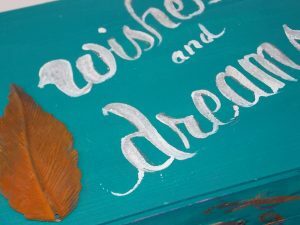 Most of the time, for me those dreams go hand in hand with a variety of goal lists. ooh, how much I love to dream. I rarely have two days that are the same, so it’s essential for me to make to-do lists, monthly goal lists, yearly and even 10 year goals listed around me. There is research showing that writing goals helps make them more likely to come true. I love hearing that. Truthfully, my deepest love for dreams is way more woo-woo. I believe that when we take time to dare to dream we open up our minds, our energy for more. Dreaming is not for the faint at heart, it requires courage to imagine beyond what is “figureoutable”. Beyond what we can know and exactly plan for. It requires a chance. Chance of opening our hearts up and chances of not getting what we wished for. I’m a big believer in daring to dream. Acting as if that things or experience or place is already a part of your world. You are already connected to it. Trusting God, energy, the universe to help us connect the dots from where we are to there. 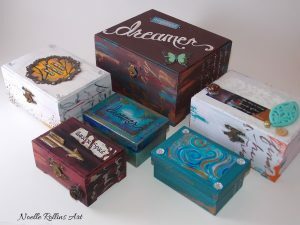 I started creating dream boxes a few years ago as a sacred place to keep my written dreams and goals. I love to get out my best pen, lovingly write my goals, a wish, a hope. Hold that piece of paper near my heart and say a prayer about it. I always ask for that item or something better, then loving say it out load and place it in the box. I imagine the energy of those wishes and goals rippling out, like a rock thrown in the lake and how the watch ripples around it outward. That is energetically what my wishes are doing. Little seekers finding the connections, the people, the knowledge and connecting me to them. We always associate New Years with the time to make goals. Anytime is good, but I love the mid year. Living in a cold climate I’ve learned that my energy levels are down around New Years. My dreams seem harder to me therefore I’ve noticed I dream smaller. When the weather warms up, I go back into needing less sleep, being in tune more with nature, and feeling more in tune with my internal knowing. Also, with the kids ending and then beginning new school years, it’s the natural time of change for us all at this time of our lives. 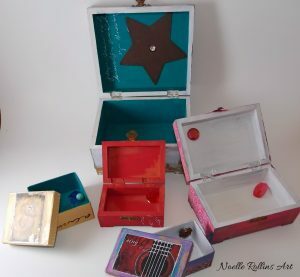 I love to give dream boxes as graduation gifts. It’s the perfect time in that young person’s life where they are expanding, stepping into new roles and very in tune with all they hope for their lives. 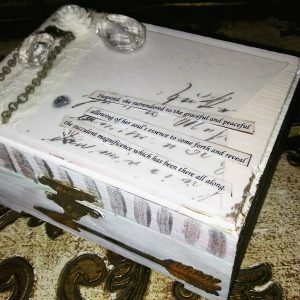 Giving them a sacred place and process to write those goals will help them also have something to look back at when life gets tough, and goals seem far off. The written goals will serve at a connecting piece to their “now” and their souls truest desires and knowing. 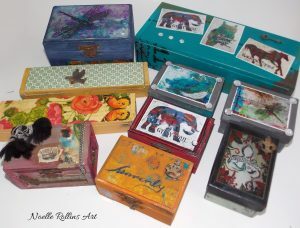 Save 30% off off all dream boxes in my online shop now through June 8th! 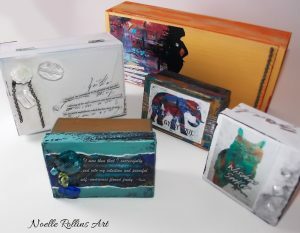 No code needed.You can visit my etsy site here. 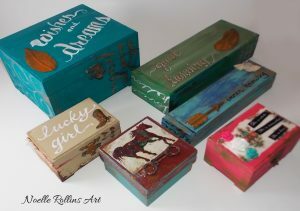 The dream boxes are in the inspirational gifts section. 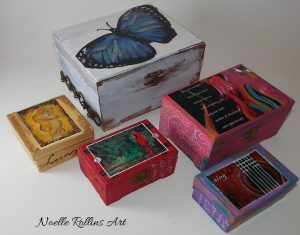 You can also search “dream box” in my shop. 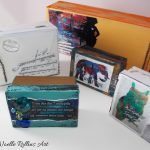 Below are photos and links as well. 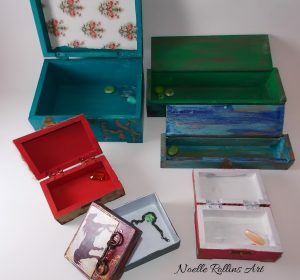 If you don’t have a process currently for storing and energetically connecting with your goals take a look at my hand made dream boxes. 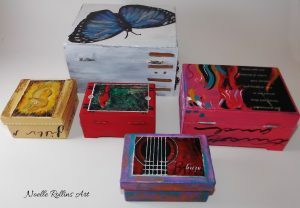 Each one is unique and they vary in sizes so they can be kept in a sock drawer or out as a piece of art on a table or dresser. Next week I’ll share a big dream that is coming true for me. It’s been years in the making and is requiring all the courage and faith I can muster. Have a safe and blessed Memorial Weekend!